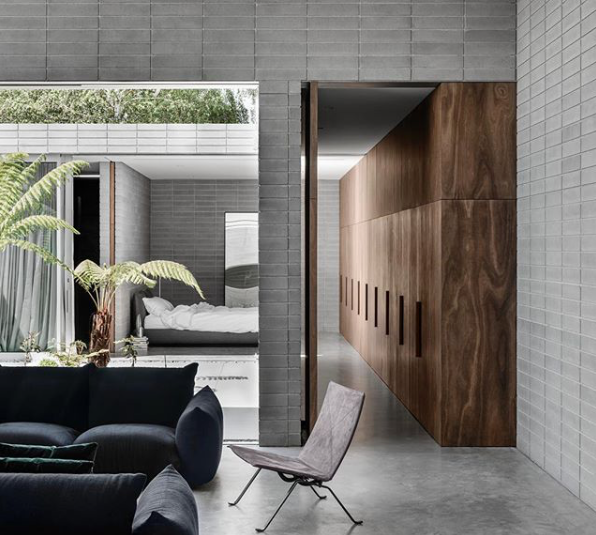 Moving in 2019 we are looking at one of the most exciting years yet in the interiors space as more and more Architects are pushing the boundaries using really interesting products and finishes in even more interesting ways. Hard finishes are what I get most excited about and where my true passion for interiors lie. It’s easy to style a space with decorative elements but it takes real skill to bring a home’s design to life with its finishes. Today I’m looking at some of my favourite trends in the hard finish space and how they can be applied to your own project. One of my favourite materials to use is Bricks and the options are endless. The colours, textures and finishes provide so much interest in a space and can totally transform the feel of a room. Brickworks Building Products have such a great range of bricks and amazing design studios across the country where you can let your imagination run wild. Bring your plans in a talk to the experts about clever ways to bring bricks inside to give your home a warmth and cosiness. Consider using bricks for internal future walls, they add so much sophistication and interest and can really bring an interior to life. The second trend I am completely head over heels with is the use of decorative block work both internally and externally. I love these feature breeze blocks when they’re used in alfresco areas, they help to provide the feeling of an indoor / outdoor room and have a real modernist 70s feel about them. The sunlight peaking through provides the prettiest dappled light and a lovely feeling to the space. If you like blockwork think about using a grey block inside! If you think grey is cold think again! The blockwork actually has a lovely soft look and feel and the larger size means it’s more minimalistic with less grout lines. A fireplace is a great place to add feature bricks. The warmth and cosiness bricks add to these areas are undeniable and provide instant warmth, even when the fire isn’t even on. A fireplace can create the perfect feature to add a little, or go crazy and go wild. The options are endless and with so many creative Brick products available the sky is the limit! Check out the huge range here or visit a Brickworks design showroom here.